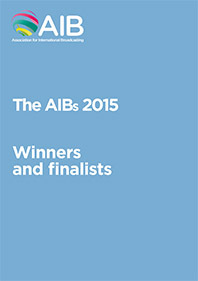 Read the Winners and Finalists book to find out who won in the AIBs 2015. 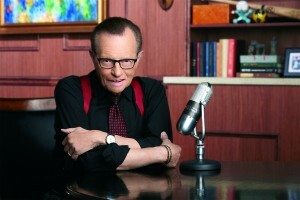 Television legend and news icon Larry King has been honoured with the inaugural Association for International Broadcasting Lifetime Achievement Award. The Award was presented on 4 November 2015 during the 11th AIBs, the annual awards for factual television, radio and online productions at LSO St Luke’s in London. One of the best-known faces on news television in the world, King has interviewed the most prominent newsmakers in politics, as well as hundreds of celebrities and sports men and women. 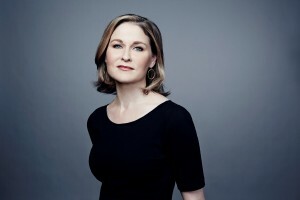 As the network celebrated its 30th anniversary year, CNN International’s anchor and correspondent Hala Gorani hosted the AIBs – the eleventh international awards for the best factual television, radio and online productions. Hala Gorani is based in London and anchors The World Right Now, with Hala Gorani, which airs every weekday evening. As an accomplished international journalist, Hala frequently goes into the field to report on major breaking news stories. Most recently, she’s been covering the refugee crisis in Europe and the Middle East. The AIBs will be presented in London on 4 November 2015 in front of a truly global gathering of journalists, editors, producers and directors representing countries across four continents.